What is Coconut Oil Really? Before we delve into the research, we need to understand the food that we’re dealing with. 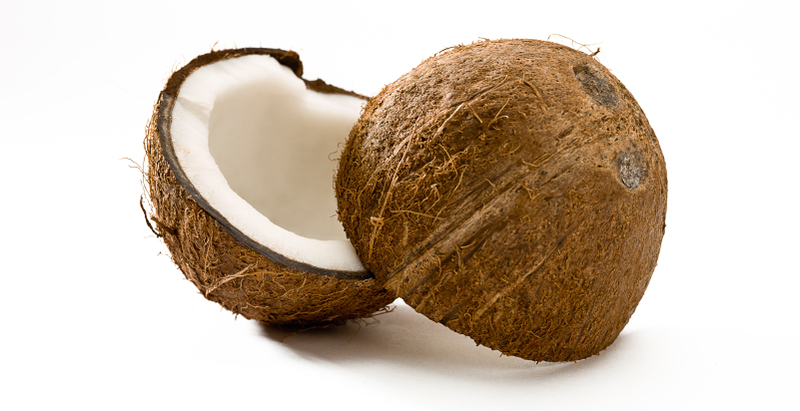 Coconut oil- also referred to as “copra oil”- is extracted from the meat (aka the white part) of mature coconuts. 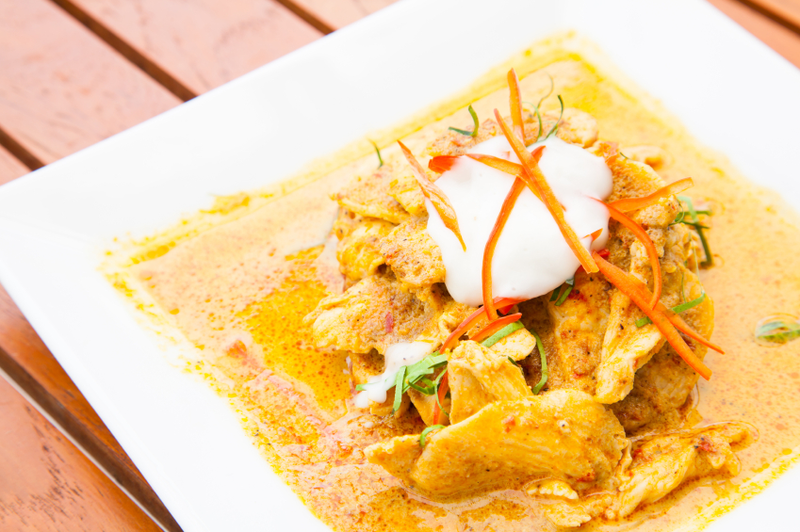 A variety of cultures have used it for cooking- think thai curry- and to help treat conditions ranging from dry skin to poor immunity. About 90% of the calories in coconut oil are from saturated fats- commonly referred to as the “bad fat” . The “good fat” is called unsaturated fat and is found in olive oil and fatty fish. Many scientists and dietitians have traditionally dismissed all saturated fats as bad for your health. Recently, that commonly held assumption has come under scrutiny. A meta-analysis of 72 research studies examining the impact of saturated fats on the human body found no significant association between their consumption and diseases such as heart attack, coronary heart disease, and angina . Additionally, there is a weak association between increased consumption of saturated fats and elevated levels of HDL and LDL cholesterol- two biomarkers monitored by InsideTracker . Additionally, not all saturated fats are created equal. In red meats, butter, and other mammal-based animal products, saturated fat consists primarily of “long chain triglycerides”- shortened as LCTs- that are usually 13-21 carbon atoms in length. In contrast, about half of the fat in coconut oil consists of “medium chain triglycerides”- abbreviated as MCTs- which are fatty acids 6-12 carbon atoms in length . The most abundant MCT in coconut oil is named lauric acid. Because MCTs are shorter in length, they have different properties from their longer counterparts. MCTs provide about ten percent fewer calories than LCTs – 8.3 calories per gram for MCTs versus 9.0 calories per gram for LCTs . They also go straight from your small intestine to your liver where they are quickly converted to energy instead of being stored as fat. This means that they can be more easily utilized by your body as energy. Because of these findings, scientists wanted to delve in to some of the health effects of this interesting saturated fat. Below we present key takeaways on five landmark studies assessing the impacts of virgin coconut oil and MCTs on your biomarkers and your body. Does Coconut Oil Burn Energy Faster? 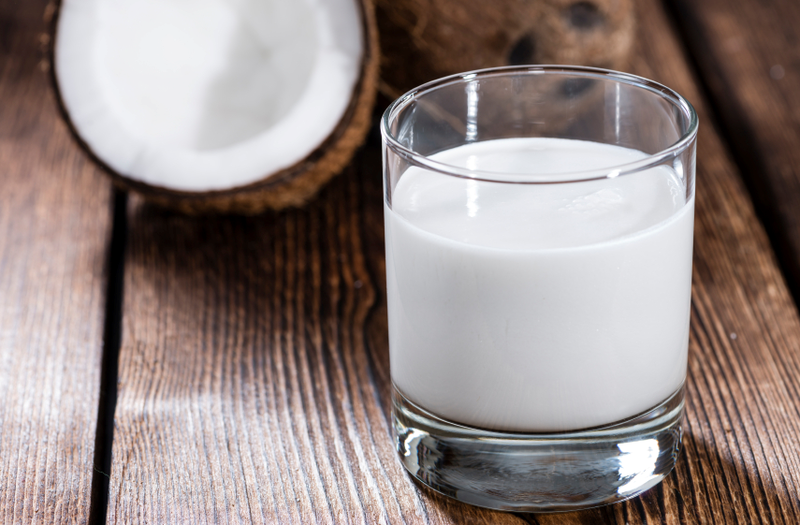 In this breakthrough study, researchers compared the energy-burning ability of medium-chain triglycerides (MCTs) found in coconut oil with long-chain triglycerides (LCTs). They provided six lean men and six obese men first with a mixed meal of 38 g long-chain triglycerides (LCTs) then with a mixed meal of 30 g MCTs plus 8 g LCTs. Six hours after providing each meal, the authors measured the subjects’ postprandial thermogenesis- also known as the energy used to maintain digestion. The researchers observed a 41% increase in basic energy expenditure in the lean subjects on the MCT diet compared to their LCT diet . This increase was even more pronounced in the obese subjects: researchers observed a 67% increase in energy expenditure when consuming the MCT diet . Because of these findings, the authors concluded that energy consumption “…is enhanced in both lean and obese subjects when LCTs in a mixed meal are replaced with MCTs” . Key Takeaways: In both lean and obese subjects, consuming MCTs significantly increases basic energy expenditure. However, it is important to note that these subjects did not add calories into their diets- they replaced their fat calories with coconut oil. Additionally, the researchers provided subjects with a ratio of MCTs to LCTs observed in coconut oil- not natural, virgin coconut oil. Does Coconut Oil Dispel Hunger? MCTs found in coconut oil have been shown to suppress appetite, an obvious benefit for those attempting to lower their intake of total calories. In one 14-day study, six healthy male volunteers were allowed unlimited access to one of three diets: a low MCT diet, a medium MCT diet, and a high MCT diet. Caloric consumption was significantly lower in the high MCT diet, and of the three groups they were the only one that experienced weight-loss. The researchers noted that substituting MCTs for other fats in a high-fat diet “can limit the excess energy intakes and weight gain produced by high-fat, energy-dense diets” . Key Takeaways: Substituting calories in your diet with MCTs can suppress hunger and reduce weight-loss. However, virgin coconut oil needs to evaluated more rigorously against other weight-loss methods, such as increasing fiber, to get a clearer picture of its effectiveness. Can Coconut Oil Improve your Cholesterol Profile? Many people know that cholesterol- a common lipid found in the body- comes in a “good” form (HDL) and a “bad” form (LDL). In a randomized, double-blind study, researchers assessed the effects of coconut oil on these two lipids InsideTracker monitors. They provided 20 women with 30 mL daily doses of coconut oil and another with 30 mL daily doses of soybean oil for 12 weeks. The women were also asked to follow a balanced, low-calorie diet and walk for 50 minutes a day. Researchers collected data 1 week prior to the dietary intervention and 1 week after. They observed that the women who had consumed coconut oil had higher levels of HDL cholesterol while the women who consumed soybean oil had lower levels of the healthier cholesterol and elevated levels of LDL cholesterol . Thus, adding some coconut oil can help you optimize your cholesterol. Key Takeaways: Research comparing coconut oil to more healthful fats such as olive oil needs to be done to understand its benefits to your cholesterol profile. That being said, this research study provides compelling evidence that virgin coconut oil optimizes your cholesterol especially for women. 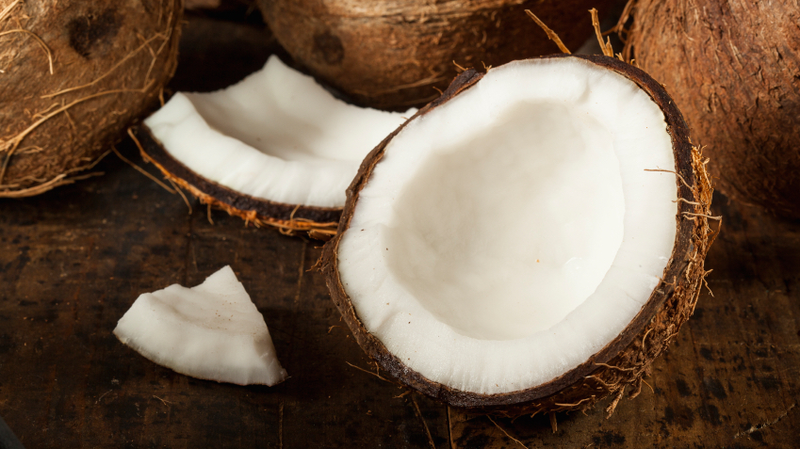 Does Coconut Oil Target Belly Fat and Help you Recover? Consuming coconut oil can help you shed body fat. In an open-label pilot study, researchers examined the impact of coconut oil on weight-reduction in 20 obese men of Malaysian decent. One week after completing the intervention, the authors observed an average waist circumference reduction of 2.86 cm. This indicates that the most harmful kind of fat- visceral fat- was reduced. While the researchers did not observe a significant optimization in the lipid profile monitored by InsideTracker, they did observe a measureable decrease in Creatinine. Lower levels of creatinine, along with its precursor creatine kinase (which is monitored by InsideTracker), indicate reduce levels of overtraining and muscle strain. Thus, the authors concluded that virgin coconut oil is “efficacious in [waist-circumferance] reduction especially in males and is safe for us in human” . Additionally, it can reduce inflammation present in muscle tissue. Summary: Consuming moderate amounts of coconut oil may reduce abdominal fat and reduce levels of creatine kinase- a biomarker measured by InsideTracker indicating muscle strain. However, the research in this case did not show a significant optimization of the lipid profile, which includes biomarkers such as cholesterol and triglycerides. Additionally, all the subjects in the study were Malaysian men- a population with a unique genetic and health profile. More research needs to be done to evaluate these effects on a broader population. Does Coconut Oil Help with Preserving your Brain? Coconut oil has another surprising benefit: it can help mitigate the symptoms of Alzheimer’s disease (AD). In this randomized, controlled, double-blind research study, researchers administered a pill containing high levels of medium triglycerides derived from coconut oil to subjects diagnosed with mild to moderate Alzheimer’s disease. They compared these subjects to a group consuming a placebo pill. They followed these subjects for 90 days and regularly assessed their serum ketones- the brain’s main energy source- and their cognitive performance. Researchers expected to see an elevated rise in serum ketone body due to the increase in medium triglycerides in the blood. However, they observed these increases a mere 2 hours after consumption of the MCT pill. Furthermore, subjects who complied with the proper dosage of the pill experienced greater gains in cognitive function compared to the placebo group. Key Takeaways: Consuming medium triglycerides from coconut oil can help improve levels of serum ketone bodies which can lead to higher levels of cognitive function in low to medium Alzheimer’s patients. This may prove especially useful for elderly patients who are suffering from early symptoms of the disease. Additionally, it is important to note that the researchers evaluated the impact of a concentrated pill of medium triglycerides- not virgin coconut oil itself. The intervention was also used as a treatment of Alzheimer’s symptoms- not a prevention of its onset. Recent research has undermined the notion that coconut oil is bad news for your body. In fact, the medium-length triglycerides found in coconut oil might be beneficial in optimizing biomarkers such as LDL and HDL cholesterol (in women), lesser-known biomarkers such as creatine kinase, and yield numerous health benefits such as reducing body fat and minimizing symptoms associated with Alzheimer’s disease. We now ask you to conduct your own personal experiment using the research. Try swapping a tablespoon of butter with a tablespoon of coconut oil and monitor your personal data using InsideTracker. This way you can start using the research to inform your lifestyle changes and use the data to see which changes work and don’t work for you. Chowdhury, Rajiv, et al. "Association of dietary, circulating, and supplement fatty acids with coronary risk: a systematic review and meta-analysis." Annals of internal medicine 160.6 (2014): 398-406. Kahn, H. A., et al. "Serum cholesterol: its distribution and association with dietary and other variables in a survey of 10,000 men." Israel journal of medical sciences 5.6 (1969): 1117. Ruppin, D. C., and W. R. J. Middleton. "Clinical use of medium chain triglycerides." Drugs 20.3 (1980): 216-224. Scalfi, Luca, Alberto Coltorti, and Franco Contaldo. "Postprandial thermogenesis in lean and obese subjects after meals supplemented with medium-chain and long-chain triglycerides." The American journal of clinical nutrition 53.5 (1991): 1130-1133. Stubbs RJ, Harbron CG. Covert manipulation of the ratio of medium- to long-chain triglycerides in isoenergetically dense diets: effect on food intake in ad libitum feeding men. Int J Obes Relat Metab Disord 1996 May;20(5):435-44. Assunçao, Monica L., et al. "Effects of dietary coconut oil on the biochemical and anthropometric profiles of women presenting abdominal obesity." Lipids44.7 (2009): 593-601. Liau, Kai Ming, et al. "An open-label pilot study to assess the efficacy and safety of virgin coconut oil in reducing visceral adiposity." ISRN pharmacology2011 (2011). Henderson, Samuel T., et al. "Study of the ketogenic agent AC-1202 in mild to moderate Alzheimer’s disease: a randomized, double-blind, placebo-controlled, multicenter trial." Nutr Metab (Lond) 6.1 (2009): 31.